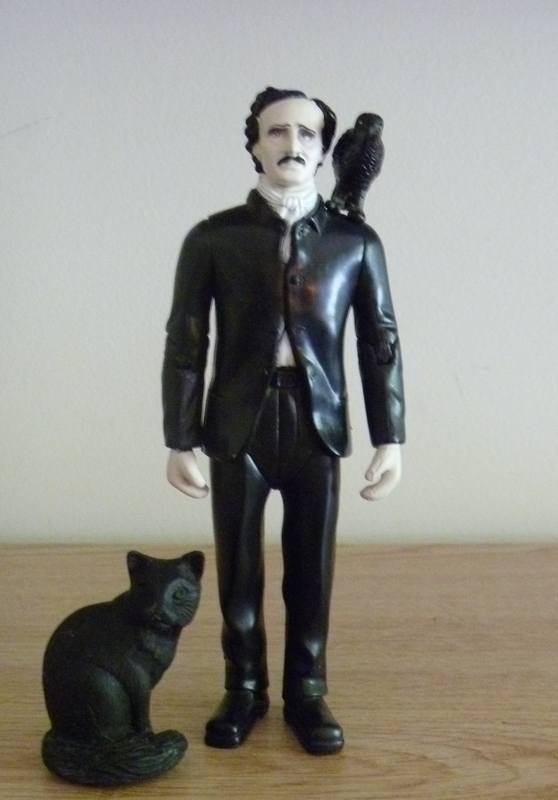 My Poe action figure. I can't write without him around! October may be a strange time to choose to put GhoStory Guru on hiatus, but this month, I decided to do a special five-part series on Disney’s Haunted Mansion and the real ghost stories that may have inspired some of its scenes. The series runs every Monday, and on Sunday, October 30, 2011, I’m releasing a never-before-published short story from the original Tales from Haunted Disney World collection called “Grave Error,” written just for Haunted Mansion fans. Here are the links to episodes #1 – #4 of “A Lit Look at the Haunted Mansion.” Enjoy, and visit this blog on Sunday, October 30 for that Halloween Treat! Posted on October 27, 2011, in GhoStory Guru, Skeletons in the Swimmin' Hole -- Tales from Haunted Disney World and tagged Disney's Haunted Mansion, Ghost Stories, Haunted Disney Parks, Poe. Bookmark the permalink. Leave a comment.